Due to the recent discussions of Revelation 20, I offer this reconstruction of Revelation based on source and form criticism. Thesis: John is following the pattern (form) of Ezekiel 37-48. Therefore, Ezekiel is the source of John’s final redaction. John ‘wrote’ (Re 1.11) down his visions. It is clear that these visions, assuming inspiration of the Spirit, are similar to past prophetic utterances in the Hebrew scriptures. The same ‘spirit of prophecy’ (19.10) operated in both John and Jesus and, indeed, ‘all the prophets, ‘as many as have spoken, from Samuel onwards, have foretold these days’ (Acts 3.24). What is not clear is that the images which correspond between Revelation and the Prophets also include correspondence of die Sache (the referent). That is, the ‘two olives’ imagery of Zechariah 4 corresponds with the ‘two witnesses’ imagery of Revelation 11, but are they speaking of the same objects? If not, then we can conclude that the images may be used again by the Spirit without necessarily picking of the object to which the first use pointed. Similarly, the ‘abomination of desolation’ language is used in reference to Antichus Epiphanes IV in Daniel 8.13 and sounds very much like Daniel 9.25-ff. This is had lead scholars to conclude that even the fourth beast of Daniel 7 is not Rome, but, in fact, Syria of the Maccabbaen period. Regardless, it can be easily shown that images are often shared while not sharing the objects the images stood for, respective of the time of the prophet giving the vision (the same may apply for Isaiah 7.14). The above was said in order to show the clear parallels between John and Ezekiel (noted in commentaries of Revelation) may be sharing the same images, but different historical referents. That is, Ezekiel may have a historical referent to Gog and Magog that John does not. Biblical prophecy was free to share patterns and images even when the referents do not match. One could develop a case that Antiochus Epiphanes’ desolation of the temple in the second century B.C.E. prepared the holy people for the ultimate desolation in 70 C.E. In dismissing certain arguments of Dispensationalism, one must not dismiss all aspects outright. A clear biblical case can be made for progressive revelation and ‘partial’ to ‘fullest’ fulfillments of biblical prophecy. The problem for pointing to where the fullest fulfillment finds its end is one for those eschatologies that still live in an open-fulfillment world. Preterism lives in a closed canon. Let us, then, turn to John in the apocalypse and see if any clues in Revelation 20 offer us a valid suggestion to turn to the pages of Ezekiel. The first is the verb ‘they lived’ in 20.4b, 5 (in Greek, the phrase is ‘kai ezesan’ – ‘and they lived.’). This is shared, exactly, in Ezekiel 37.10 – kai ezesan. There, the ‘dead ones’ of Israel are breathed into by God ‘and they lived.’ The verb occurs in 37.6,9,10. They lived on account of the words of Ezekiel. Ezekiel, the prophet, spoke the words of God, and as a result, they lived. The ‘bones’ stand ‘for the whole house of Israel’ (37.11). When the Hebrew uses the phrase ‘the whole house of Israel’ it is speaking of both the Northern tribes and the Southern tribes, hence the adjective, ‘whole’ and not just ‘part.’ Therefore, what Ezekiel sees here is a restoration of both houses into one nation again. This is confirmed in 37.15-ff where, in a separate oracle, though placed here, the issue is uniting the ‘two sticks’ of Judah and Israel under one king, David. The interpretation continues to use the language of resurrection. ‘I will open your graves and bring you up from them; I will bring back into the land of Israel’ (37.12). This hardly looks like 1948! But, we’ll let that slide. The important point here is when did God begin to do this? ‘When’ in both the Greek and Hebrew texts is used in 37.13: ‘When I open your graves…and I will put my Spirit in you so that you may live’ – zesesthe, Greek). The following oracle (37.15-ff) ends the same way: ‘I will be their God and they will be my people in the land I establish them’ – 37.23,27). As noted above, Peter, in his second sermon of the Jerusalem Lectures, stated that ‘all of the prophets have foretold these days’ (Acts 3.24). ‘These days’ must refer to the ‘last days’ of his first lecture (Acts 2.16-ff). The Spirit was poured out into the hearts of the ‘men of Israel’ (Acts 2.22). The prophets, including Ezekiel, foretold those days. Therefore, can we not legitimately ask, “Where did Ezekiel prophesy the Spirit being given to men of Israel?” The reader should anticipate my answer. The language of the outpoured Holy Spirit is directly linked to the resurrection of national Israel, to their coming up out of their graves – ‘and they lived.’ John calls this ‘the first resurrection.’ The first resurrection, then, is when the Spirit was received by those who, as firsfruits, ‘lived’ again by the power of God. The language of John 5.24-25 is close to the language of Ezekiel 37, as many Preterist scholars, like Don Preston (website - books), have noted. The restoration of Israel, those filled with the Spirit, began when the Spirit was poured out, raising them from the dominion of hopelessness (37.11) to the kingdom of David/Jesus, uniting them into ‘one body’ and ‘one nation’ and kingdom of priests, into one eternal inheritance/land: heaven itself, dwelling eternally in the very Glory of God through Christ. This was the first stage of The Resurrection of the Dead: Pentecost. Now, are there any other clues? Surely, the case made above cannot be built off of one Greek verb that match Revelation 20 and Ezekiel 37 together! Revelation 20.8, mentioned here only, is the reference to Gog and Magog. I will not bore the reader with the endless speculation of what these names represent. The only fact I wish to point out is that they are here, and, they follow Ezekiel 37. Ezekiel 38.1-ff talks about Gog and Magog. Surely, this is no coincidence that John’s context, resurrection/Gog and Magog can be parallel to Ezekiel’s context of resurrection/Gog and Magog (and we are not done, yet!). Israel is dwelling in peace and safety, having been regathered from the nations (38.8). For Ezekiel, this most probably refers to the return under Ezra-Nehemiah. Many commentators see Gog and Magog as the Syrian/Grecian invasions, and this may be true. I tend to think Gog and Magog is Rome and here legions and affiliates of nations. Whatever. The point is, Israel is living in peace, having been regathered to their land, and Ezekiel foresees a time when they will be shattered yet again. For John, if he borrowing the image of Gog and Magog, the references may be different. However, is there not a pattern to the Spirit of God being poured out on Israel, having been regathered, and living in a time of peace of safety? 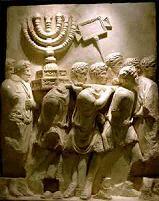 Israel was treated with special care in many cases by the Romans during the pax Romana. She had been regathered back into the land under Ezra-Nehemiah. The Spirit was poured out on her in Jerusalem. There was peace, she was in the land, and the Spirit was poured out. The problem is to what land-dwelling is Ezekiel foreseeing here. If the Spirit is poured out first in order to regather them into the land, then the Spirit was poured out under Nehemiah and Ezra. Perhaps as a foreshadowing, for Zechariah 4 speaks of the Spirit’s involvement in that regathering. Then, while they live in peace, Gog and Magog eventually show and spoil the party. Israel, though, is victorious, and God’s glory is displayed in a cleansed land (38.16). For Ezekiel, these events may be seen as follows: Israel is dispersed by the Assyrians and Babylonians -> The Spirit is poured out on Ezra, Nehemiah, Haggai, Zechariah, Zerubabel, Joshua, and the like - > She is regathered as the nation of Israel, living in safety from the nations (under Persia) -> Greece and Syria invade, Syria crushes, but Israel is victorious in the land and remains there to the time of Christ. The imagery of the Gog and Magog battle is, among Preterists, the events of the last days of Jerusalem in the Jewish War. John states that ‘fire came down from heaven and devoured’ Gog and Magog (Revelation 20.10). Equally, Ezekiel 38.22 entails the same image against Gog and Magog. 39.6 is even more parallel: ‘I will send fire on Magog.’ Whatever is taking place here, the parallels are there. Preterist, and even some non-Preterist commentaries have shown that Revelation 19.11-21 refer to the same events of Revelation 20.7-10. Without attempting to prove that here for reasons of space, I assume that this paralleling of the two chapters is entirely correct. The images of Revelation 19.11-21 are found, sometimes in exact phraseology, in Ezekiel 39. For example, match 39.17-20 with Revelation 19.17-21. This is Gog anf Magog imagery, and if 19 parallels 20, the reference to Gog and Magog in 20 is plain. All of this should now allow us to see that John is indeed drawing heavily off of Ezekiel’s images. He is even following the same pattern of what was typical for Israel, but now, because of Christ, is reality. It is as if God has been rehearsing the play over and over again until the main actors take the stage in the New Testament. By following patterns in the OT, we can, I believe, successfully interpret the riddles of the NT eschatology. Let me recap: Israel is being raised from the dead and regathered into her heavenly inheritance by the outpoured Holy Spirit. During this time, she will live in relative safety. However, Gog and Magog will come and invade ‘the city having been loved’ (Revelation 20.9). Fire will come down from heaven and devour Gog and Magog, and Israel will be glorified with God forever. What does John see after this? He sees a New Jerusalem (21,22). What does Ezekiel see after this? He sees a New Jerusalem (40-48). Are they the same? Not only are they a match, but even the details of John’s visions follow that of Ezekiel’s. If this is so, then clearly we can establish a parallelism between the two books. Each gate/alcove for John and Ezekiel are ‘three’ (21.13; cf. 40.10). Each are being measured (21.15-ff; cf. 40.10-ff). John then measures the city itself and its foundations. Here, Ezekiel goes into a the city and sanctuary and begins measuring their dimensions. The city of Ezekiel’s vision is where God ‘will be their God and they will be my people’ (43.7-9). This answers to Ez. 37.26,27. It is found repeated in Revelation 21.3. It is plain that the resurrection of the ‘rest of the dead’ happens before the full arrival of the New Jerusalem and the new heavens and new earth. In Revelation 20.11-15 ‘the Death’ is hurled into the lake of fire. In Revelation 21.3. ‘there is no more the Death.’ Thus, the resurrection must have occurred before the new heavens/new earth can come. Ezekiel’s vision, then, of the glorious city is after the affliction of Gog and Magog, and after the resurrection of the dead, when God is their God and they are forever his undefiled people, never again to be removed from Jerusalem, nor will Jerusalem ever again be trampled under foot. How can it ever be trampled under foot or defiled? It is heavenly in origin and ruled by King David/Jesus. The Heavenly Land of Israel and Jerusalem is forever, and its Temple and its Priesthood is forever. It is an eternal Nation and Kingdom of Priests within the Kingdom of God. All the other ‘kingdoms of the world’ will fade and whither, being of the earth. Now, we can understand, then, that for John, the ‘first resurrection’ was the true regathering of God’s chosen into his one Spirit, when that Spirit was poured out, gathering them together from the four winds. These were the ‘firstfruits’ (144,000) of Israel in anticipation of the resurrection of the rest of the dead of Israel, whom God foreknew. The firstfruits were given authority to judge, and sat on thrones with Christ. They did not give allegiance to Rome, nor took his mark. They ‘followed the Lamb where ever he went.’ The first resurrection was the first stage of the Resurrection of All Israel. If John is following Ezekiel here, which, I think he most certainly is, then we have all the main ingredients of Revelation 19-22: Gog and Magog, the feast of the birds, a devouring flame, resurrection, outpouring of the Spirit, unification of Israel, New Jerusalem, living waters, et al. Those of John’s generation were given priestly robes in order to serve God day and night in his temple. They were awaiting the full disclosure of this entrance into the Holy of Holies.